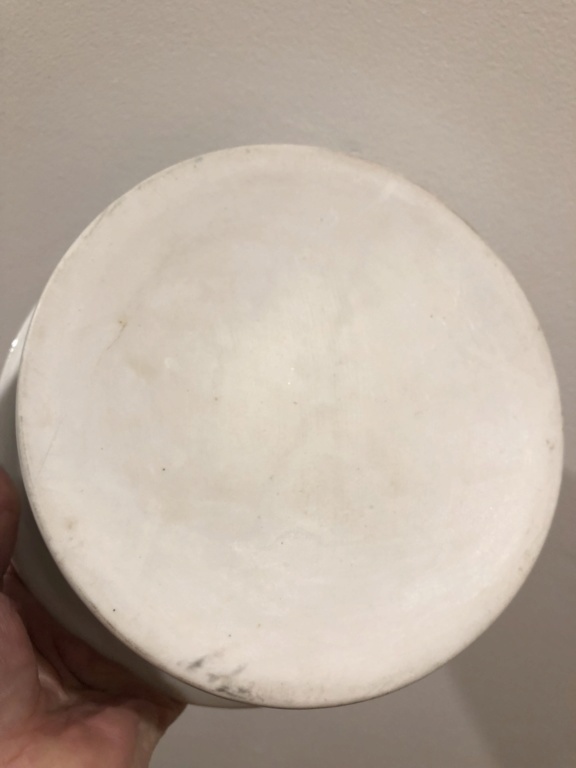 white - Is this white bowl a Crown Lynn perhaps? Hi again. 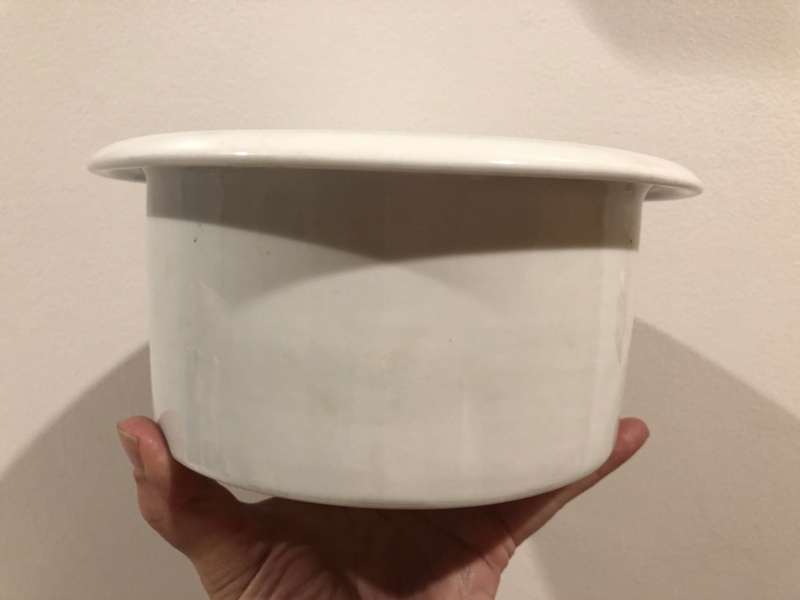 This white bowl measures 20cm diameter, I think it's an unusual pot shape. Is it Crown Lynn? 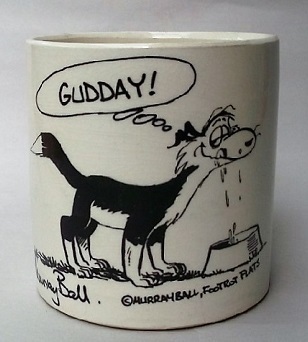 As there are no markings on it to id the maker I'd like to find out who that is. Thank you. 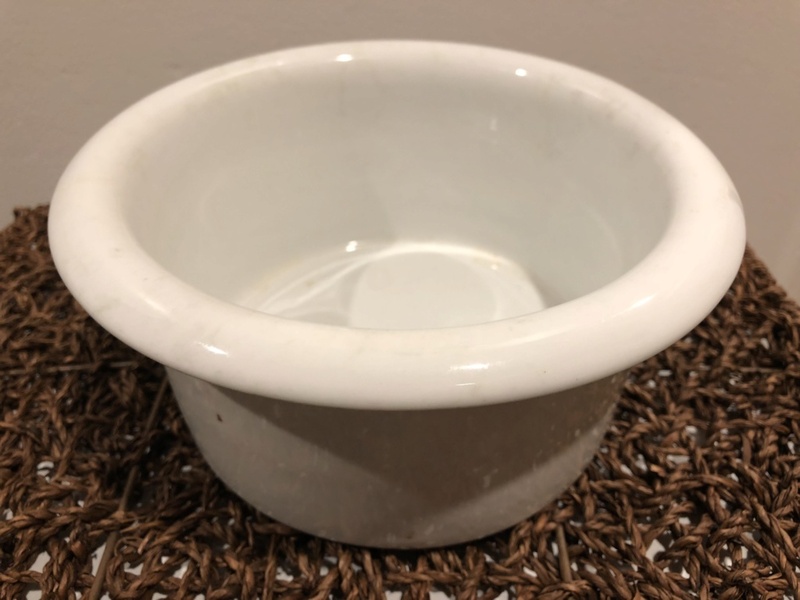 Re: Is this white bowl a Crown Lynn perhaps? That looks like a flat base with no foot ring. Which pretty much excludes CL. Thanks Maryr. And look at that - i learnt something else about identifying CL. Yes sorry my reply was a bit brusque, but apart from the egg cups and a few little vases, CL does not have that flat base. I dont know who made your white bowl. It is not a shape I recognise, but someone else on this site might be able to help. All the best with your collection. Oh no, not at all Maryr. I didn’t take it like that all. I appreciate the help. Thanks again. Yes it’s a lovely well made bowl, unusual shape too. Kind of a porcelain look to it too. Anyway, I might find out what it is one day.